Kabul The cost of corruption in Afghanistan rose sharply last year to $3.9 billion, and half of all Afghans bribed public officials for services, the U.N. said Thursday. The findings came despite repeated promises by President Hamid Karzai to clean up his government. The international community has long expressed concern about the problem of corruption in Afghanistan because it reduces confidence in the Western-backed government. Donor nations also fear aid money could be diverted by corrupt officials or mismanaged. 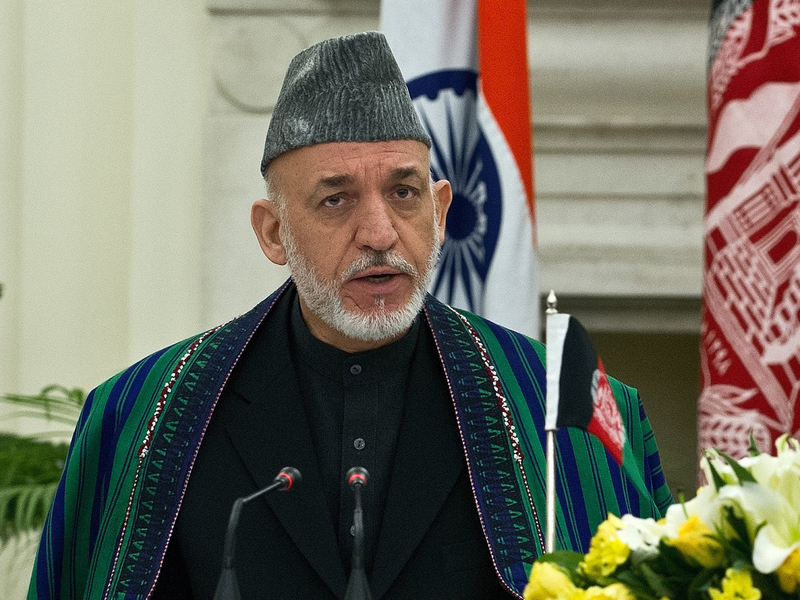 Karzai ordered his ministries, prosecutors and judiciary to fight bribery, nepotism and cronyism with a series of measures in July. But a survey by the U.N. Office on Drugs and Crime and Afghanistan's anti-corruption unit showed slight improvement in curbing the common practice of paying bribes for public services in the country. "Corruption means you don't get the best in the public sector, you get the best connected or those with the higher income," U.N. envoy Jean-Luc Lemahieu said at a news conference. Lemahieu added the problem leads "towards alienation, frustration and a disconnect to those who should be able to give you the service provided." Fifty percent of the adult population had to pay at least one bribe to a public official in 2012, a 9 percent drop from 2009, according to the findings, which were based on interviews last year with 6,700 Afghan adults from across the country. Meanwhile, the total cost of bribes paid to public officials increased 40 percent to $3.9 billion. That amount was double the revenue collected by the government to provide services, said Lemahieu, head of the UNODC. He also noted that many poor people are unable to pay bribes, leaving them without access to public services or the ability to get government jobs. The Afghan High Office of Oversight and Anti-Corruption pledged to continue its efforts in fighting the problem, saying the report was an important step toward locating priority areas. "The fight against corruption by the Afghan government and the people of Afghanistan will continue," said Mohammad Rafi Amini, the head of policy and planning for the agency. One particularly troubling trend singled out by the U.N. was the emergency of education as one of the most vulnerable sectors. The number of Afghans bribing a teacher jumped from 16 percent in 2009 to 51 percent in 2012, according to the survey. Offers were often received for improving exam results and providing information about the contents of the tests in exchange for bribes, raising concerns about the role of the practice in shaping the behavior and expectations of Afghanistan's youths, the agency said. The survey also found that more of the public finds bribery acceptable. Of the adults interviewed last year, 68 percent said it was OK for a civil servant to supplement a low salary by accepting small bribes, compared with 42 percent in 2009. A roughly equivalent number said it was sometimes acceptable for a civil servant to be recruited on the basis of family ties and acquaintances. After decades of war, Afghanistan has long been plagued by corruption. The country also was ranked at the bottom of Transparency International's corruption index in 2012, along with North Korea and Somalia. The index scores countries based on perceived levels of public sector corruption. However, the U.N. said awareness among Afghans has risen, with one-fifth of those who paid a bribe last year reporting it to authorities such as the police, the public prosecutor's office and the Afghan High Office of Oversight and Anti-Corruption. But the survey also showed that the majority of those claims did not result in any follow-up  a blow to U.N. hopes of persuading the public to try to stop the practice at a grassroots level. With the international presence in Afghanistan winding down as foreign forces prepare to leave, Lemahieu said his agency was also working to persuade Afghans to try to stop bribery at a grassroots level by encouraging people to refuse to participate in the practice. "That pressure should not only come out of the government but from the public," he said. "Bribery is not obligatory."